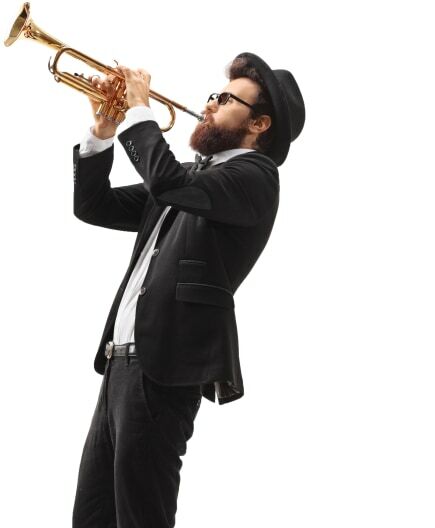 Jazz up your event with some Dixieland Music. This early style of jazz was born in the oh-so-jazzy city of New Orleans. Bring to your event the songs of musicians like Louis Armstrong and popular tunes "When the Saints Go Marching In" and "Tin Roof Blues." You can expect a harmonious mix of brass and string instruments as well with the trumpet, trombone, banjo, bass and more creating some great Dixieland sounds. Add the music of New Orleans to your event by booking one of these Dixieland Bands today! Search for Dixieland Bands in Sorel-Tracy, Quebec above. Please note that these Dixieland Bands may also travel to Saint-Joseph-de-Sorel, Berthierville, Sainte-Victoire-de-Sorel, Saint-Robert, Lanoraie, Yamaska, Saint-Barthelemy, Saint-Cuthbert, Saint-Ours, Saint-Roch-de-Richelieu, Notre-dame-de-pierreville, Saint-Aimé, Massueville, Saint-Thomas, Odanak, Saint Francois Du Lac, Saint-François-Du-Lac, Saint Francois, Sainte-Élisabeth, Saint-David-dYamaska, Pierreville, Saint-louis-de-bonsecours, Lavaltrie, Maskinonge, Contrecoeur, Saint-Justin, Louiseville, Notre-dame-de-lourdes, Lourdes, and Manouane.